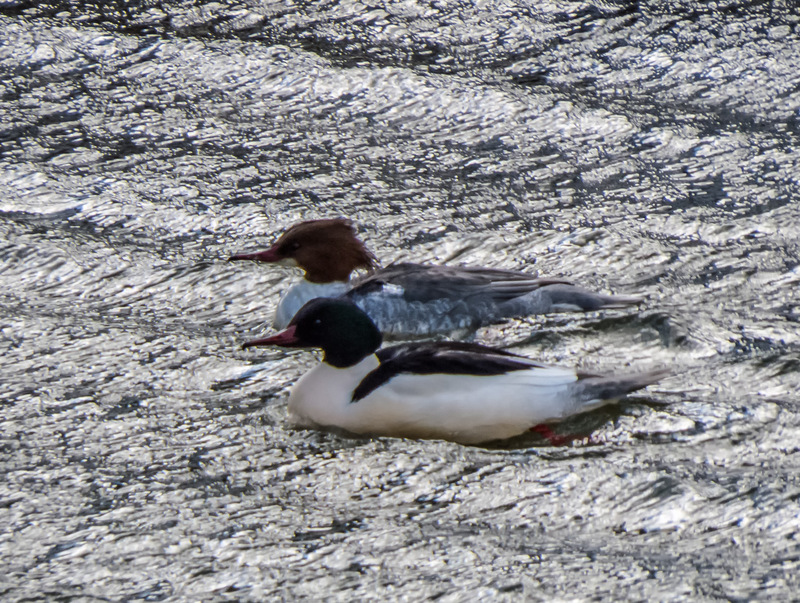 As I was exploring the Ammer River on Sunday afternoon, the day of my arrival in Germany, I spotted these two Common Merganser ducks (Mergus merganser). Initially they were sleeping with their heads tucked under their wings, but eventually they woke up and swam around a little and I was able to get some shots. I am on a brief trip to Germany for work and am staying in the small Bavarian town on Oberammergau, in southern Germany. It is located in the mountains and at the moment has lots of snow. I did manage to get a few shots of the town and of the mountains on Sunday that I hope to feature later this week. Our work schedule looks to be pretty busy and I am not sure I will have the chance to get out again with my camera before I depart on Saturday. Yesterday I finally made my way out into the wilds of Occoquan Bay National Wildlife Refuge for the first time following our recent snowfall. The wildlife refuge is open despite the partial federal government shutdown, but I was pretty sure that the access road had not been plowed, so I waited a few day for road conditions to improve. It was heavily overcast for much of the day and the wildlife seemed to have hunkered down. 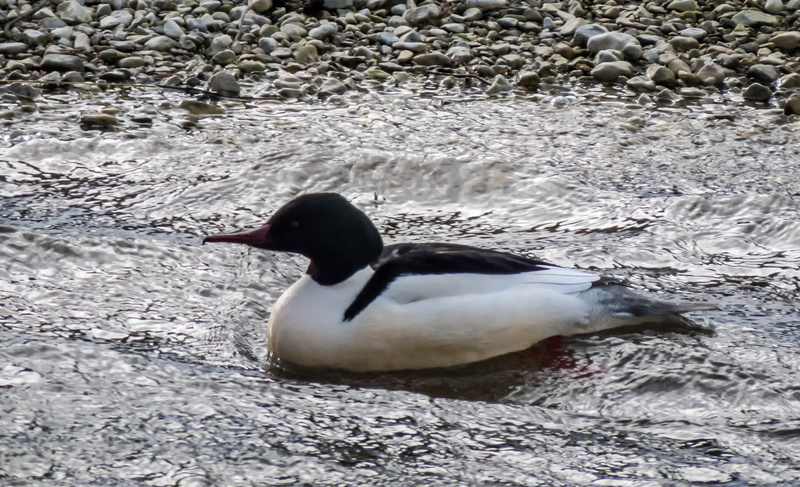 Sightings were pretty scarce, so I was really happy when I spotted this duck. 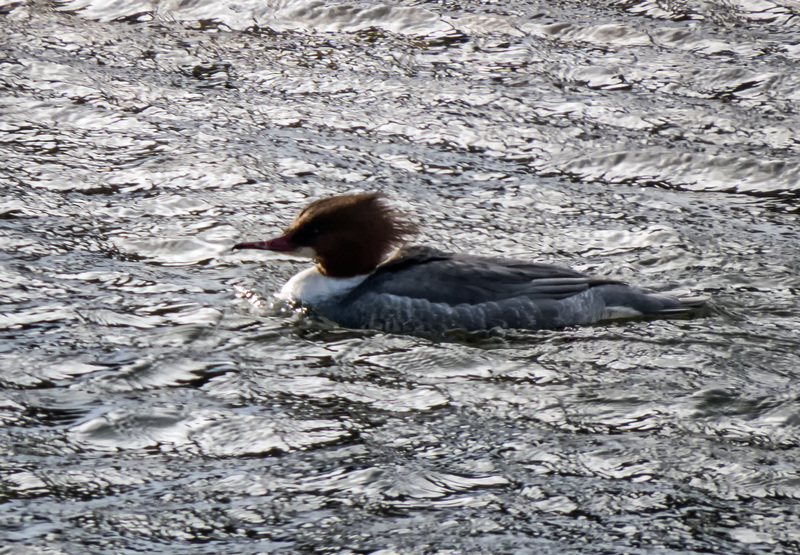 It was already a good distance away from me and I think it sensed my presence about the same time as I saw it and started swimming away immediately. 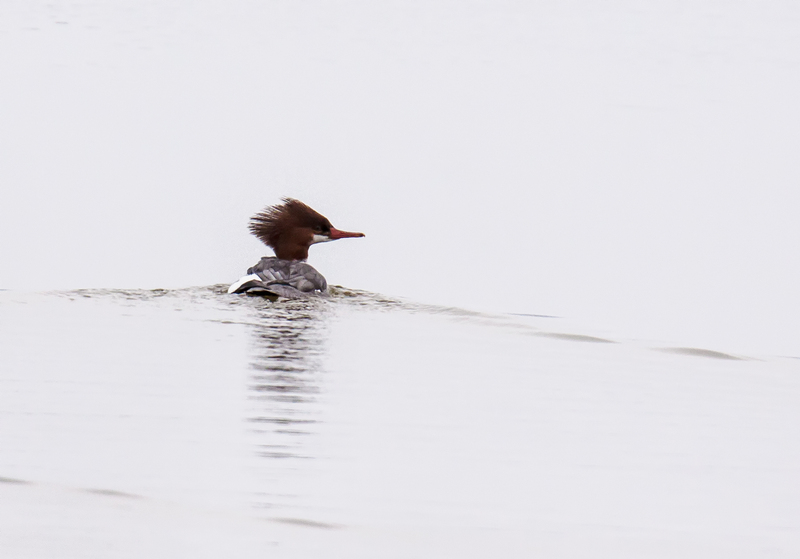 I had a pretty good idea that this was a female Common Merganser duck (Mergus merganser) and some friendly folks on a Facebook forum confirmed the identification. 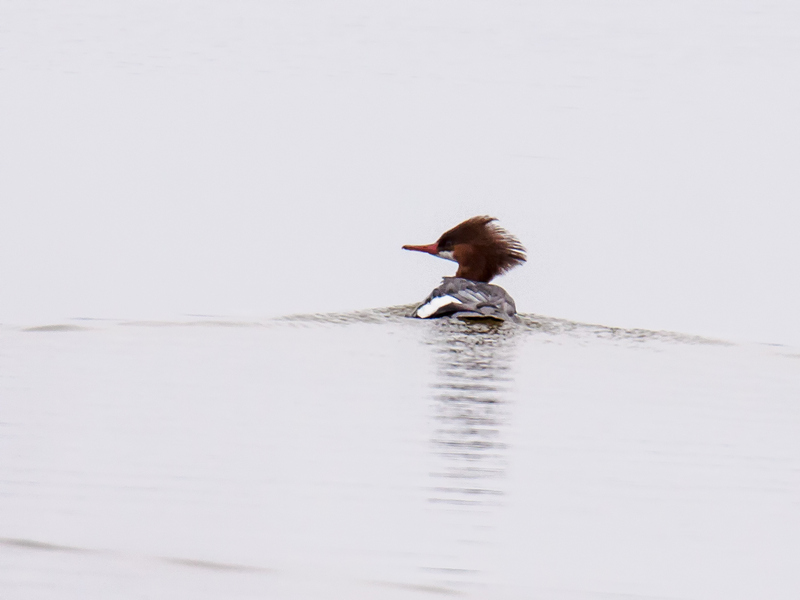 As far as I know, this is the first time that I have spotted this species—I am more used to seeing the Hooded Merganser, whose female sports a similar hairstyle to that of the Common Merganser.